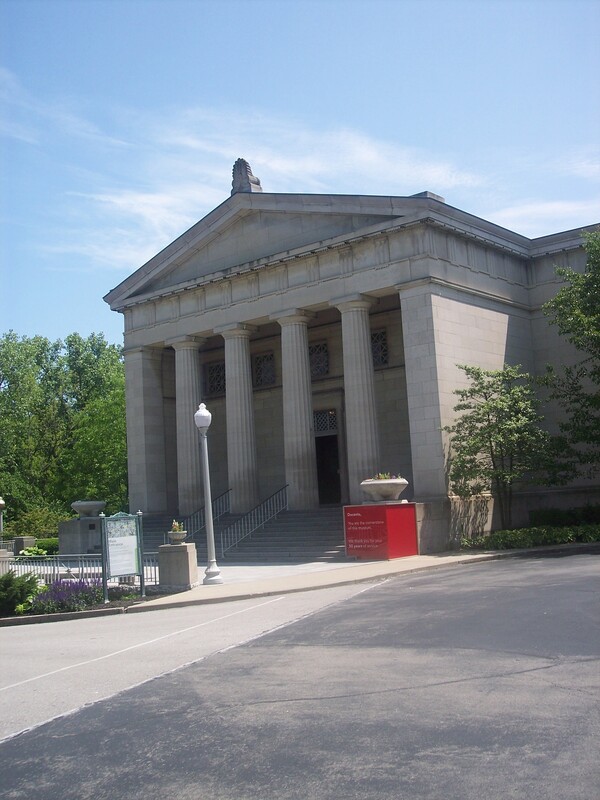 Cincinnati’s Art Museum is one of the Queen City’s crown jewels. Situated in Eden Park near Mt. Adams, the Cincinnati Art Museum has had free admission since 2003, thanks to an endowment from The Lois and Richard Rosenthal Foundation. Founded in 1881 and opened in 1886, the museum is the first purpose-built art museum west of the Appalachians. It houses some 60,000 works of art, making its collection one of the largest in the Midwest. Among its displays are the Rookwood Pottery Collection, from a famous local pottery company that operated around the turn of the century. Since last my post two weeks ago about my summer reading list, two more arrivals have joined the stack. The Devil by Ken Bruen – Jack Taylor comes to America. And is sent back to Ireland. While waiting at the airport, he meets a man who seems to know more about Jack than even Jack knows. And he’s waiting for him in Galway, where a series of murders begins. Delta Blues – Ben and Alison have really stepped things up since going it alone with their new Tyrus Books venture. A collection of short stories centered around the blues written by authors from performance artist Nathan Singer (who wrote what I believe was the best story in Expletive Deleted) to John Grisham, into by Morgan Freeman. I Am Your Battle Priest! If you get that reference, then you’ll know my latest short story is inspired Marillion’s first UK hit, “Market Square Hero.” The story, “Gotham Square Hero,” is now live at Aldo Colcagno’s Darkest Before the Dawn. Well, I wrote one in two weeks, but it took up all my time and some of that was vacation. At the time, I had no kid and no school and a light work load. What they really mean, whether they realize it or not, is that writing a long work will take a long time. When you figure out that’s what’s really holding you back, it becomes one of those “Well, duh!” moments that frees you up. Yes, I am, but I do it anyway. Since I overloaded the current academic term, my writing output has dropped to almost negligible. Yes, I’ve reached the point where writing a blog post has become a sort of workout to keep the writing muscles from atrophying. But writing a blog post, if you do it right, is more like writing a newspaper column. Most columnists and paid bloggers work on tight deadlines. They have to have something ready to go tomorrow. So keeping this blog humming daily has been a good exercise. But it’s not writing fiction. It’s not writing short fiction. It is occasionally writing a review, but unless I decide to dedicate this blog solely to book, music, and movie reviews – all of which require vast amounts of prep time – reading, listening, watching – this blog will remain an Internet version of Dave Barry. If Dave were angrier and less funny. Back to writing fiction. Every writer I know, with one or two exceptions, refuses to let go of that old chestnut “Write everyday.” For me, I’ve finished a looooong novel and am now focused on short fiction until I can dig out from under the academic avalanche I’m buried under. OK. The first submission of the year was originally an academic assignment. So was the second. I should know more about them soon. The third was a rewrite of a story based on Marillion’s 1981 hit, “Market Square Hero,” retitled, resubmitted, and accepted. You’ll see it in the next couple of weeks, assuming the editor isn’t himself buried under his own avalanche. A third was a story written for a specific market. They just reopened. I expect I’ll hear back by summer’s end. I’m working on new. Three in the can awaiting rewrites. And I am working on new stuff. One paragraph at a time. Or one scene at a time. Guess what happens if you write just a little bit of a short story every day. So how does that apply to novels? Ask George Pelecanos. He once told NPR that anyone with talent (or even without, when you think about it) can finish a novel in a year. You write one page a day. That’s 250 words. After a year, you have 365 pages. Given the average first manuscript is about 350 pages, you’ll finish with time to spare. If it’s longer, you’ll finish a little later than a year. Point is you’ll finish. Notice he did not say get published. That’s a whole ‘nother nut to crack. And as I’m pressed for time, I’m not going to crack it here. I have an agent to do that. Now if you’ll excuse me, I need to go work on something for my agent to sell. I talk a lot about Joe Konrath’s commentary on ebookery here, mainly because Joe raises a lot of good points. Yesterday, he slammed the concept of Digital Rights Management (DRM). His basic premise is this. If you make a product hard for people to use, people won’t use it. I need only point you at that gang of window lickers known as record company executives for proof. DRM has done more to encourage piracy – often with the complicity of the artists it supposedly protects – and destroy CD sales than the classic Napster ever could on a good day. Result? Radiohead has no label. And yet they sell quite well without one. The labels still exist and still serve the artists, but the days of supporting record execs’ cocaine habits with idiotic pricing models are over. When it comes to placing bits on people’s devices, preventing people from copying that data, especially when they paid for it, is a fool’s errand at best. They’re bits. No DRM scheme devised by man will ever truly work in the long run. But does this mean all DRM is evil? So how’s this good for the consumer? You can’t read my Google docs. Well, you could, but it’d be a lot of work for you to do it. So suppose Google or Apple or Oracle decides to sell you space in their racks of storage devices for your very own place for your stuff. It is much easier to secure off-site information and distribute it to whatever device the end user chooses than it is to restrict use of data on those same devices. After all, they already do your email that way. Credit card info, banking info, your Amazon account, and even your account at the pizza place are all secured by the vendor based on you. Yes, hacking is an obvious danger, but has hacking slowed down use of eBay, Amazon, or the iPhone App Store? So let’s say your music is sent to wherever you store your information. The credentials for this are tied to you, not your device, not your hard drive, not some product key limiting your access to something you paid for. What’s the difference? The DRM is tied to the consumer, not the data itself. When a user authenticates to a server, something we do dozens of times a day, he or she can call whatever data is needed out of the sky. This includes music, video, and ebooks. It might be your intellectual property, but it’s my hard drive. Barging in and looking at my data because you’re afraid someone might be looking at your precious work without paying you is exactly like breaking into my house because you think I took your lawn mower. You may be right, but the moment you bust down my door, you become the criminal. And that’s precisely what the current DRM model is. 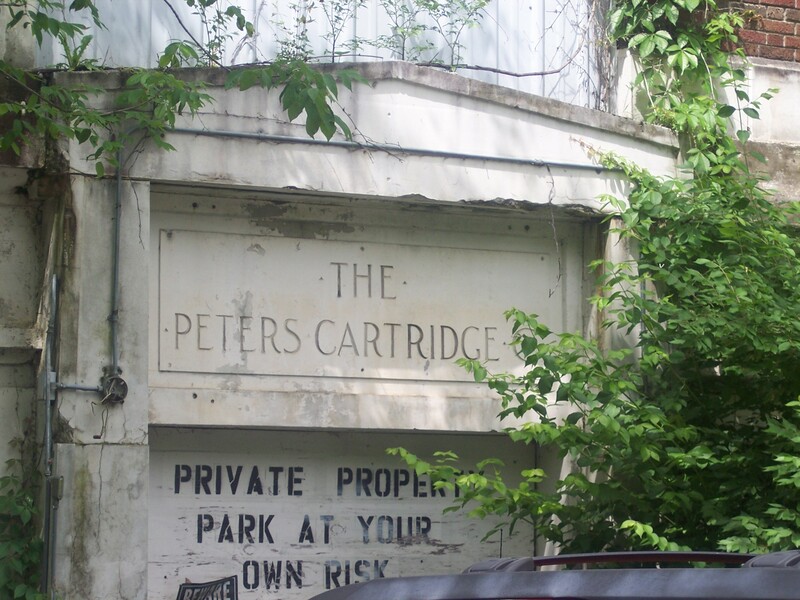 North of Cincinnati near King’s Island sits the Peter’s Cartridge Factory, a former ammunition plant that operated from 1860 to 1944. 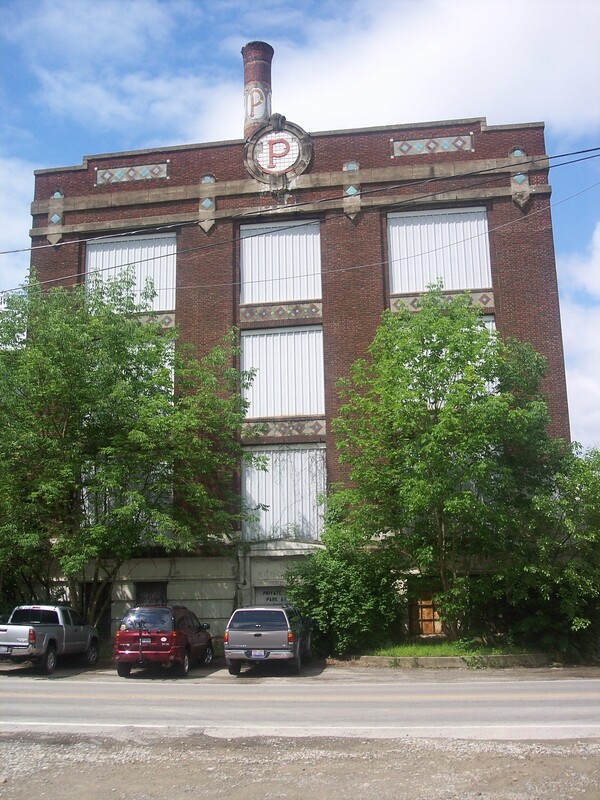 Today, it’s considered one of Cincinnati’s most haunted places. In 1890, a collision between two rail cars loaded with gun powder destroyed many of the original buildings. 11 people died instantly. The company rebuilt, and by World War I, the present complex was in operation. The factory continued to operate until 1944. Since then, it’s been partially abandoned, with some companies taking over sections of it from time to time, including an eyeglass company. A small commerce park runs in part of the building, but most of it stands empty. Racks of material left from the previous operations still sit visible in the windows. More after the jump. 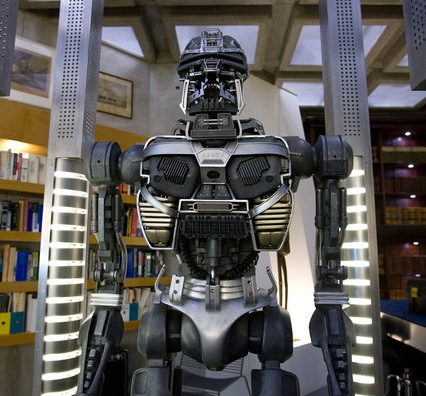 Corporate greed, cultural vendettas, monotheistic terrorists, and angsty teens combine to create the Cylons. That’s right. The destruction of mankind in Battlestar Galactica was brought about by cybernetic whiny teenagers. Which explains why Cavil on BG was such a manipulative crybaby. Kinda like Lord Voldermort, only more annoying.